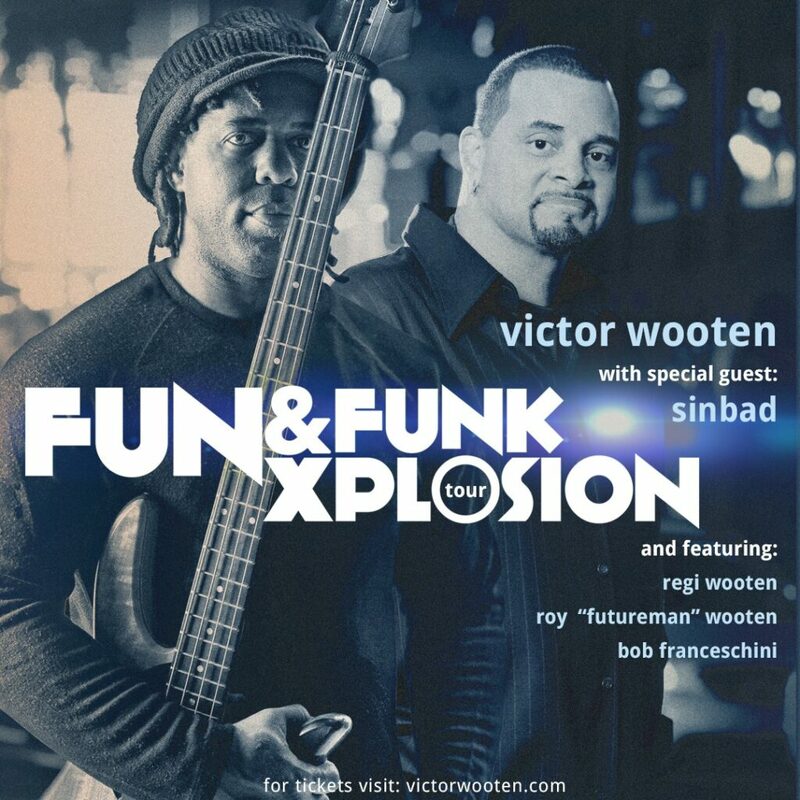 Victor Wooten, currently on tour in support of his widely praised new album, TRYPNOTYX, will kick off the eclectic “Fun & Funk Xplosion” Tour featuring special guestSINBAD April 24. The tour will also feature Victor’s brothers Regi Wooten, Roy “Futureman” Wooten, and Joseph Wooten (on selected dates), as well as saxophone innovator Bob Franceschini. This exclusive limited10-date tour will conclude May 5, at the Buckhead Theatre in Atlanta, GA. A full list of dates is below. Named “one of the Top 10 Bassists of All Time” by Rolling Stone and one of “50 Iconic Black Trailblazers” in Huffington Post February 2017 (pictured just after President Barack Obama,) Wooten continues to lead and inspire. The youngest of five boys, he began playing music at two years old, and was playing gigs by the tender age of five with THE FAMILY band, the Wooten Brothers. Wooten first “wowed music heads” nationwide (Kansas City Star) in 1987, as a founding member of Béla Fleck & The Flecktones. Catch Victor Wooten live on tour at a city near you.